The E3Live team strives to give its clients exceptional service and care. Read here about our client services policies, our stellar team, and what some of our clients think of their experience with our service representatives. Our approach to client servicing demonstrates E3Live's commitment to building successful, long-term relationships. From the first contact we strive to meet your needs by providing quality products along with advice and guidance on product information. E3Live recognizes the need to consistently provide premier quality assurance to our clients. To facilitate this commitment to quality, we have created specialized teams to ensure the success of each client experience. From the initial stages of harvesting to the care and packaging of your order, our teams strive to deliver the superior product and service you deserve. Our specialized teams enhance the client service effort by providing unique expertise and direction on specific client needs. Although every employee at E3Live contributes to a great client experience, we have an outstanding team of client service representatives dedicated to your individual needs. 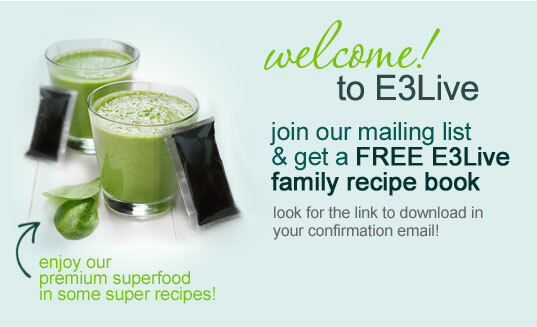 “ E3Live is a product that may help many people, with a variety of health issues. As a Client Service Representative, everyday I am eager to come to work because what we do here changes lives. “ E3Live is not just my job, it's a way of life! I love promoting a product to all of my friends and family that I use, love, and believe in every single day. Please be sure to read all of our testimonials here.